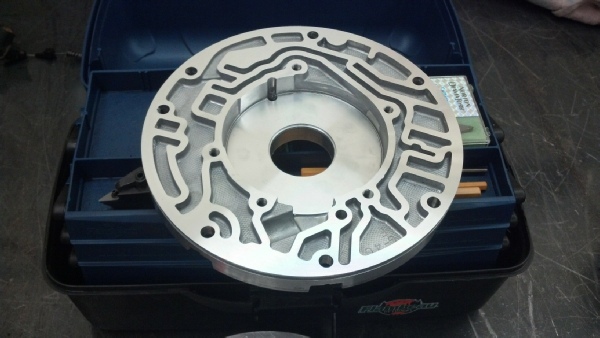 Our custom tooling needed to remanufacture pump bodies. Our pump’s are machined to Correct tolerances .710" pocket depth. We sell these pumps with a new pump bushing installed in every pump. We also offer complete rebuilt pumps. 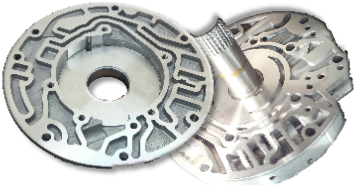 The Pump is the heart of your transmission, without solid pump pressure it wont matter how many or what type of clutches you put in your transmission, it wont last. Let us help you and/or your shop save money Today. Send us your pumps and build the best possible transmission. We have 700R4 and 4L60E pump body's and pump cover’s in stock and available today, along with a full line of 700R4 and 4L60E rebuild and hard parts as well. We machine these pumps in house. WE CAN MACHINE YOUR BODY'S TOO. We offer a multi-pump discount. Contact Jim at 318-779-1006 for all your transmission needs. If anyone needs more info please email our Tech Jim at tech@builtrighttransmissions.com . We are currently able to build Performance or stock transmissions or kits to suit your purposes for just about any RWD or 4x4 Transmission. We can also supply you parts to swap your 2 or 3 speed automatic or manual transmission to a Built Right Overdrive Transmission. Please email our Tech at tech@builtrighttransmissions.com . You name it we got it: rebuilt performance, heavy duty transmissions 700r4, 4L60E, 4L65E, 4L70E, Transmission drum ,sprag, clutch, shaft, roller, parts, input, steels, kits, torque converter, Torrington bearings. We can also build custom transmissions or kits for any need you have! The before and after resurfacing.